I have regular breakouts and lots of redness. I currently use Make Up For Ever HD High Definition Foundation but I think it may be making my skin worse. Help! How can I hide my acne without giving myself even more acne?! I LOVE receiving e-mails and having conversations with everyone. I can definitely relate to your situation, it truly is a damned if you do, damned if you don’t scenario! On the one hand a product like Make Up For Ever HD’s foundation truly does give full coverage for problem skin but on the other hand it is known to exacerbate the situation for many people. The ingredients list for MUFHD is a who’s who of skin irritants: silicones, PEG, petrols, parfum, etc. It is also just a really heavy product so while it hides a lot, your skin is also masked which isn’t healthy as skin needs to be able to breathe. While we’re on this page, you probably want to skip MAC Studio Fix as well. To be honest with you, I’ve tried a lot of foundations from clean brands to varying levels of success but if your skin was anything like what mine was like when my skin was really bad, none of them will really work to cover everything. I can only give you the information I have, but I hope it is enough to help you make a clear decision on which product to try next, good luck! 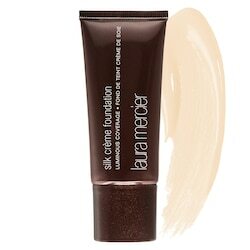 I’m sure we all are aware Laura Mercier isn’t a natural brand nor does it really try to be, but compared to MUFHD, it is substantially ‘lighter’ on the skin. The concentrations of silicones are slightly less than MUFHD while there are some ‘good’ things like Tea extracts. The primary reason it is on this list is because it provides long lasting coverage and really does conceal acne marks without making you feel like you have a heavy mask like foundation on your face. I think this might be a nice product to use sparingly and saved for major events where you only need to have this on for a few hours at most. Not a product a purist site like No More Dirty Looks would get behind, but if you’re okay buying Make Up For Ever HD, this is a cleaner, better, formulated product. There are still ‘bad’ ingredients like silicones, PEGs, and phenoxyethanol, but it is free of parabens, petrochemicals, synthetic fragrance, and phthalates which are SO COMMON in most mainstream products. This is also cruelty free, just wanted to point that out since with mainstream products, a lot are unable to get this seal. 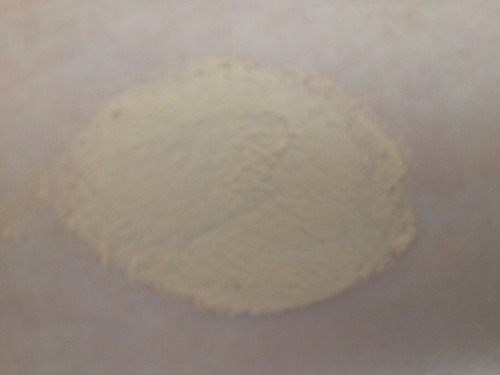 The best part of this foundation is that you only need a tiny dab of the clay-cream hybrid for medium coverage. My recommendation for full coverage is to first apply a thin layer with your fingers. 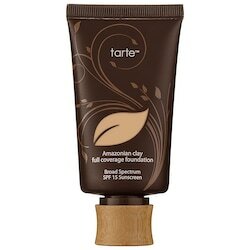 Then use a foundation brush like Shiseido’s Foundation Brush (reviewed here) or Tarte’s own Airbrush Finish Bamboo Foundation brush to buff and distribute another layer for that flawless full coverage. This works to give skin full coverage while still maintaining a ‘natural’ not caked on appearance. 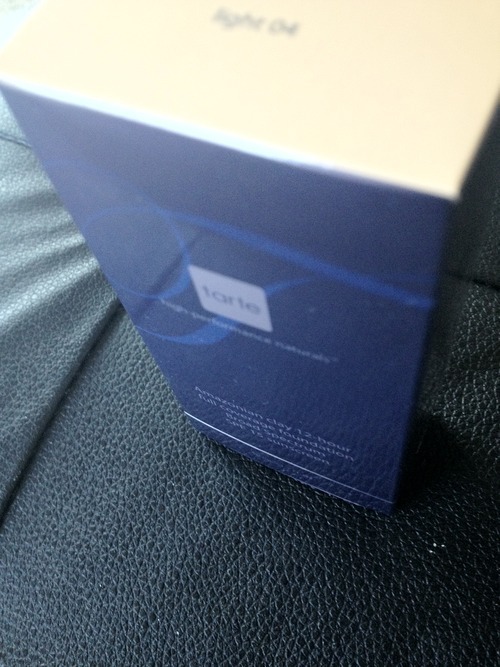 Tarte’s foundation also feels lighter than MUFHD which at times can feel like a mask. 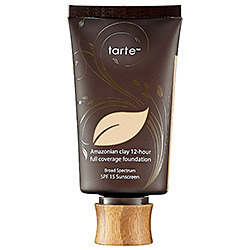 In cooler weather, I found that I was able to wear the Tarte foundation for a full day without oxidation, while in warmer temperature sometimes I found that it did ‘melt’ off my face after about 6-8 hours. Overall a good, cleaner alternative. This is a very cleanly formulated product that most pure-natural beauty lovers consider a cult product. 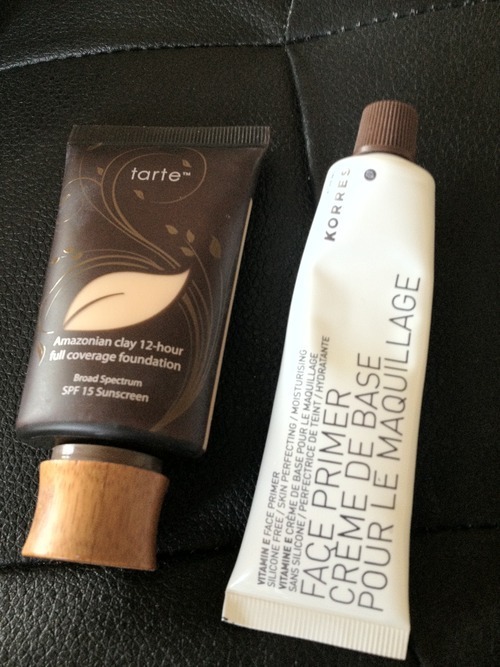 It works as a concealer but I found that it is more a concealer-foundation hybrid. 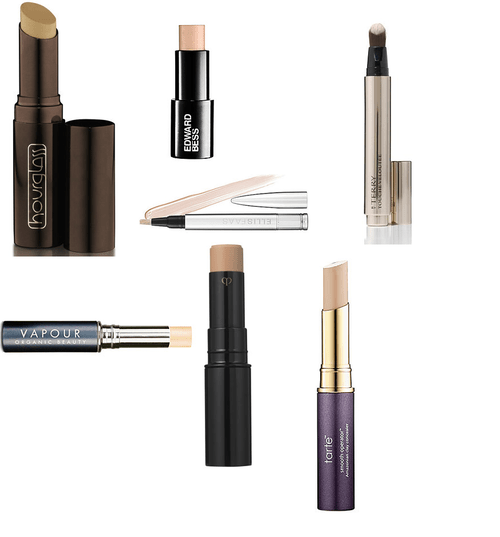 You can cover it over the areas that you think need a boost and it gives a wonderful degree of natural coverage. The formula is a nice creamy texture but for blemish prone skin, definitely ask for samples before buying because some people do say that it makes skin oily. 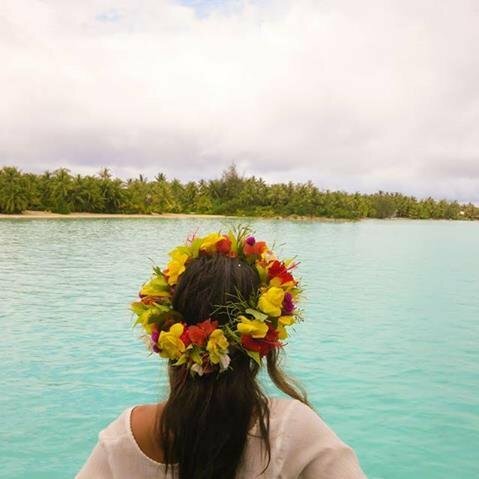 I think the coconut oil and beeswax won’t do your skin any favors but if you are mainly looking for something clean – do look into this product, it might work for you. 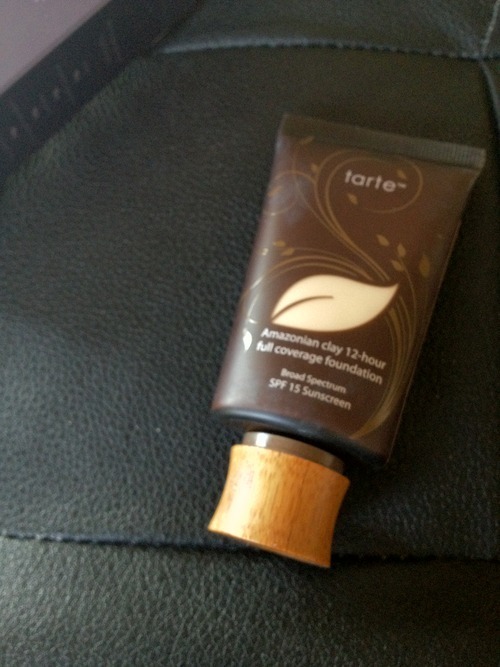 At $60, I know this is quite a splurge, but this might be ever so slightly more suitable for your skin. There is also coconut oil and beeswax in here, but I think the concentration is less than RMS’s Un-Coverup product. You can really adjust the coverage with this foundation. For full coverage, apply with a foundation brush, add in concealer, then use a pressed powder puff to gently pat on another layer. 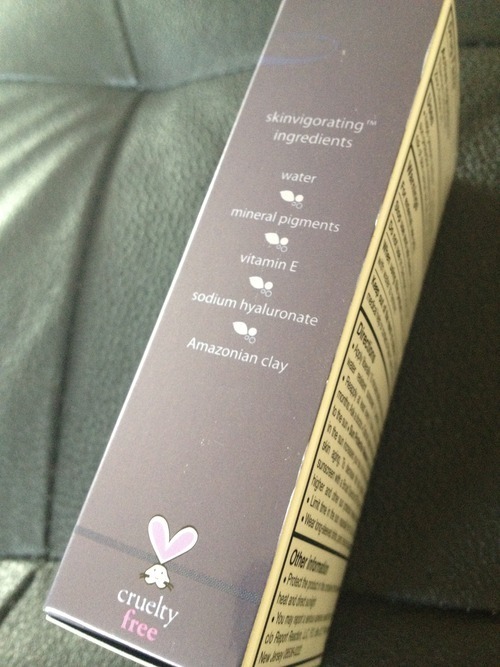 The cream is a matte finish so it will not make you appear oily. I’ve been using this for the past two weeks and I have to say that it didn’t really un-balance my skin or give me breakouts. I did get the initial one or two bumps when I try new beauty products since my skin is still very prone to breaking out but they have since disappeared without turning into anything serious. If there is any clean product that can compete with the silicone filled synthetic mainstream foundations in terms of performance, it is this Vapour Organics Foundation. It gives decent coverage without looking cakey. The only caution you should take is around any fine lines or creases as it can accentuate them (as can all stick foundations). 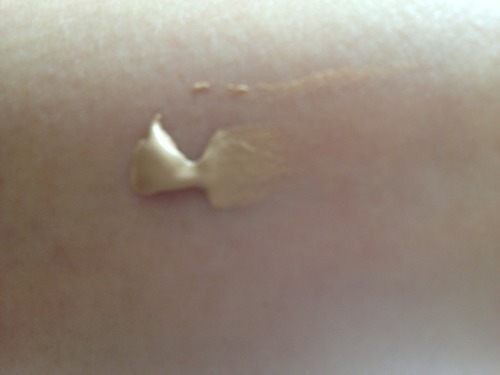 The wear time for this foundation isn’t as long as all day foundations but thats because the formula is so pure, the good news is that re-applying is a breeze. The only ingredient in here that could be not bad for acne prone skin is the beeswax, but that is listed lower on the ingredients list than the other products on this list so there is less of it. I think of all foundations on the list, it might be the lightest coverage so some acne marks might still be visible, so I would suggest trying it out first and if you want slightly more coverage just use a concealer such as RMS’ Un-Coverup.